The PA iLottery offers five standard daily promotions. These are the ones currently running, but you should always check for new additions to the daily promotions, or special promotions. Here are the current five. 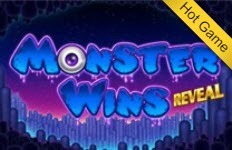 Monster Monday is the same as the Monster Wins game. You can claim your Monster Monday chance by going to My Bonuses. To get the 20-percent cash back on any net loss, you only need to deposit a minimum of $25. The deposit does need to be made during the promotional period. Monster Monday promotional period begins at 12:01AM and ends at 11:59PM each Monday. You can earn up to $100 in bonus money. This is a weekly prize draw. There are 50 winners selected who each win $100. Every winner of the Big Benjamins draw also is entered into the Grand Prize drawing for $100,000. This is a cool play on words for the PA iLottery Wednesday promotion. 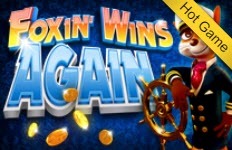 Every player who plays at least $5 on the Foxin’ Wins Again on Wednesday gets $5 back instantly. This is a promotion that happens every Thursday on the PA iLottery. You will receive a special promotion each week by being subscribed to email alerts. The promotional giveaways range from free bonus money to matching deposit bonuses. The PA iLottery Surprise Saturday promotion is just that, a surprise. You have to check in on Saturdays to see what the daily promotion will be. It could be anything from a deposit bonus, cash back, or a big prize draw later that day. The VIP Club is a free option to everyone who has a PA iLottery account. When you sign up for the VIP Club, you earn $5 in free-play bonus money. There are various member perks like Fast Frenzy and O’Lucky Day. There are periodic special offers extended only to PA iLottery VIP Club members. You can also customize your account receive lottery winning numbers and other alerts via text message to your phone. There are now expanded methods to deposit money into a PA iLottery account. You can use your debit card, make an ACH bank transfer, or use the PayNearMe system to add money. They now accept Visa® and MasterCard®, plus PayPal as well. It is a simple process. The minimum deposit is only $10. Log in to your PA iLottery account. In the upper-right hand corner is the My Account tab. From your account window, choose the cashier. You will then pick one of the three methods for your deposit. Keep in mind, only debit cards are accepted, not Visa or MasterCard credit cards. You can also choose to have the funds withdrawn from your bank account using the ACH system. If you want to deposit cash, use the PayNearMe option. You will get a bar code that you take to a 7-Eleven, Family Dollar, CVS Pharmacy or an ACE Cash Express. Give the barcode to the attendant and pay the cash amount you want. You will be given a receipt for the amount credited to your PA iLottery account. You can claim your cash winnings at any time. To withdraw your winnings, you need to link to a bank account or to your PayPal account. You can use either method to claim cash prizes. There is a minimum amount of $10 to make a withdrawal, but there is no limit on how much you can take out at any given time. There are three convenient ways to get answers to your questions or help with problems. The PA iLottery has a live chat widget in the right-hand corner of the screen. There are also representatives available by phone at 1-833-530-PLAY (7529). If you’re not in a big hurry to get an answer, you can use email support at support@PAilottery.com. Since the idea behind the PA iLottery is boosting online sales, they needed a user-friendly app for mobile devices. They have a winner in that important area. The software for the mobile app mirrors the website design. It is both stable and colorfully designed. The links are easy to read, with menu tabs that are simple to navigate. Another important part of any gaming experience, are the games themselves. The PA iLottery games are smartly designed and run crisply. The Pennsylvania Lottery Commission used Scientific Games to design both the website and the mobile platform. It is not surprising that nearly every reviewer comments on visually appealing and user-friendly design. This game is a wildly popular game similar to the Monster Monday promotion. You will scratch off hidden symbols on an online card. When you match at least three monsters, you win a prize. Four monster matches produces an even bigger payout. To play the Foxin’ Wins Again game, you need to buy a game card. You’ll reveal the symbols in hopes of getting three pot symbols. Hitting this winner will award you five free games. In these games all your prize winnings will be double. 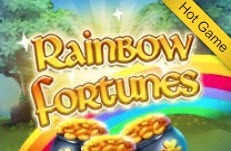 The Rainbow Fortune game is a matching game, but also has two individual mini-games inside the big game. You are a winner when three or more symbols line up in a row, vertically, horizontally or across diagonally. There is also a Lucky Barrel mini-game. When you hit the GO button, you win all the prizes that the barrel lands on. The next game is Wild Run Reveal, a 3 and 4 symbol matching game. Each pass will give you a chance to unlock up to five additional free games. 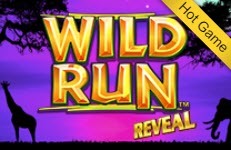 The free games are activated as soon as any of the Wild Run symbols are revealed. •	Maximum total prizes are $2,000 on the Wild Run and $4,000 for the free games. 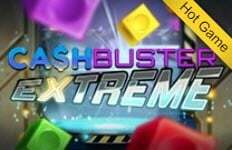 Cash Buster Extreme is another hot game that includes two mini-games inside the main game. Each of the mini-games produces a chance to win free game-go awards. This is a collect-style game where you need to destroy a series of blocks. Win when five or more rows are eliminated you have a winner. 20 Is the PA iLottery Online Legal? 21 How Much Can I Win Online? Q: Are there limitations to gaining access to the matching deposit bonus? A: The quick answer is yes. You need to play an equal amount of instant games to receive that amount of bonus play added to your account. It is a progressive process. Q: How often can you withdraw cash winnings? A: There are no limits on how much money you can withdraw, or how often you can claim your cash prizes. Q: How long does it take for deposits to be used for game play? A: Unless your bank has restrictions in place, deposited money into your account is available immediately. Q: Can you purchase tickets for the real Pennsylvania lottery drawings? A: This is one aspect of the PA iLottery that may change, but currently you can only play online games using the website or mobile app. Q: Who Can Play the PA iLottery Online? A: Online games offered in Pennsylvania are open to anyone who is over the age of 18. The only other requirement if you are of legal age is that you are inside the Pennsylvania state borders when playing any of the online games. Is the PA iLottery Online Legal? A: The PA iLottery is completely legal as long as the players are inside the Pennsylvania state borders. Since the online version was created as an arm of the main Pennsylvania State Lottery, it is authorized under Pennsylvania law. Players must meet the 18 year old age requirements, and all winnings fall under state tax laws once they reach a certain amount. Since the first numbers were drawn on March 7, 1972, there have been dozens of new games added. In 1977, the standard lottery started the popular pick-three games. The commission decided to expand gaming operations to include an online lottery in 2017. The first online games were launched in June 2018. How Much Can I Win Online? There are game payouts as high as high as $250,000 on the PA iLottery. While most jackpots are more modest than this one, you can still win substantial cash prizes playing a variety of lottery-type games. There are scratch-off games and basic games of chance. One appealing thing to keep in mind is that there is no limit on how much you can win. One of the primary reasons for the change in legislation that allowed for online lottery sales was revenue. Standard lottery games lost money in 2017, so legislators began to look at the potential profits of opening up the state’s games to online players. The new online venture has rebuilt the $75 million reserve fund, plus promises strong revenues for the state going forward. There are portions of the revenue that are funneled into vital aspects of the state treasury including, education and infrastructure. The PA iLottery revenue also helps benefit programs focused on seniors. The format is extremely user-friendly for both website and mobile users. There is a unique similarity between both platforms that is very appealing. The games are fun, and there are new opportunities being launched regularly. There are no limitations on accessing your winnings, and the only real restrictions are geographical location and a minimum age of 18. The game interface is colorful and engaging, but most of all, the chance to win big cash payouts is always there. Daily promotions that give you numerous chances to play with free money. There are exciting new games being developed by Scientific Games. The revenue generated by the PA iLottery continues the tradition of helping fund worthy state causes, including benefits for senior citizens. No restrictions on the number or amount of withdrawals. While you can now use a Visa or MasterCard to make deposits, you cannot withdrawal monies back to these cards, plus there are daily deposit limits. Currently, there isn’t a very broad game selection to choose from. Sam Shefrin is the founder of Lineups.com, Inc. Before Lineups, he started Daily Fantasy Cafe, Inc. in 2014. Armed with a passion for sports and every Atlanta team, his journey continues with the goal of making Lineups a premier sports analytics destination. 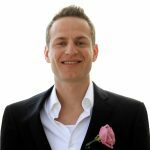 He has been quoted on Forbes.com for industry insight and his websites featured on NBATV, Yahoo! Sports, Fantasy Pros, Bleacher Report and SB Nation.